We will be running the first MVT Run n Gun and CQB Force on Force Training event on Friday 30 September. This precedes the Force on Force Team Tactics event Saturday / Sunday October 1/2. 1) The Run n Gun can be attended on its own, on the Friday morning. Or as a package with the afternoon CQB training. 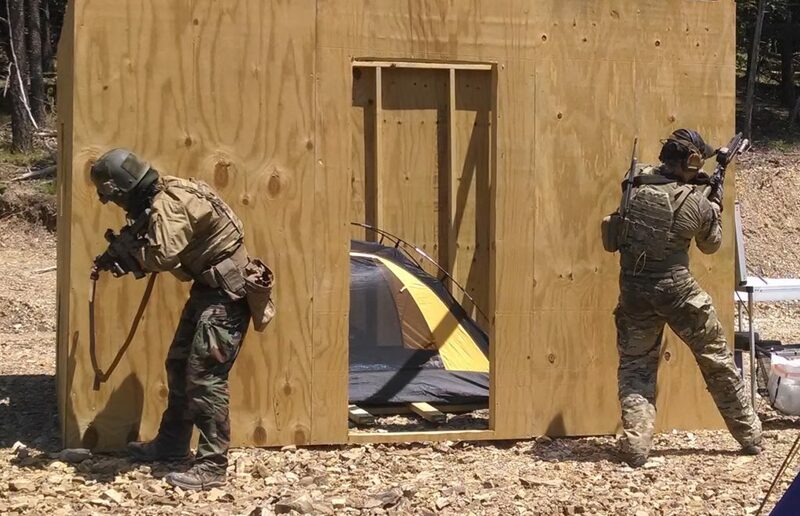 2) The CQB Training can also be attended on its own. Priority to those who wish to do both events on the Friday. 3) The Force on Force Team Tactics weekend follows, which can be attended on its own, or with the Friday events. 4) There is no training class prerequisite for these events. Want to hit up one of these FoF wknds, sept or nov, so 310 for fri, 750 for sat and sun, 150 rifle rental, fri run and gun ammo purchase, will you lend me your glock ol buddy ol pal (alumni)? Be a fly in thurs, fly out Sunday deal, don’t want to lug a bunch of stuff. What time does class end on Sunday, early enough to catch a 7pm flight out of Dulles? Cant bank on a 7 pm slight, with 2.5 hours travel and car return etc. Class will likely finish sometime between 3 and 5 depending on how the scenarios and ammo run…..although you could just leave at a certain time….? Is a full size service pistol a requirement for the run-n-gun? I will bring a small 10rd carry pistol if we are allowed to use something smaller. If not i will try to borrow one from someone.